Music is the language of the soul that cuts across all barriers of caste, creed or religion and has the power to bring people together. And when you blend music with jewellery, you create a mesmerizing fusion of art and beauty! 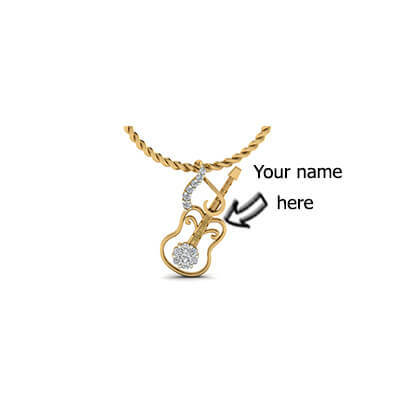 Show your love for music with this Musical Guitar Name Pendant. 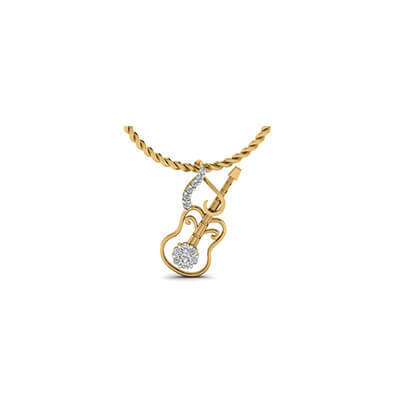 While the lovely guitar crafted in elegant gold adds a musical charm to the pendant, the dazzling diamonds further enhance the timeless appeal of the pendant. 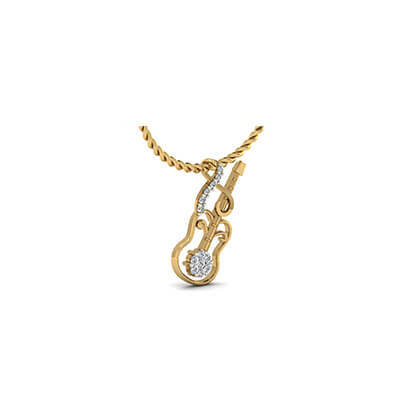 You can also customize the pendant according to your style and requirements. 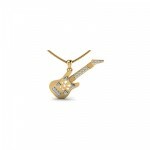 Musical Guitar Name Pendant Overall rating: 4.7 out of 5 based on 235 reviews.